Furze Platt Scout Group was first registered. The Scout Headquarters cannot find the first registration certificate so we have no details or names. The Group was reformed after the war, certificate number 232. Bill Rowlands was Scout Master and his Assistant was called Palmer. The original meeting place was the Church Hall. Later, land near the Church was given by Lady Gardner. A wartime army hut was erected there and was named the Waldron Hall after another landowner on whose land the Scouts spent many a weekend camping. Bill Rowlands was a dedicated Scouter and in 1920 he gained an ally in Mr Stuart Colvin Woods who had moved to “The Chase” in Cannon Court Road. Stuart Woods was intensely interested in Scouting and gave the Troop his wholehearted support, becoming the first President of the Group. The Group took his name and became the 1st Furze Platt Stuart Woods Own, a title that was retained until 1954. The Arrow Park Jamboree in 1923, to which Furze Platt Scout Group sent representatives. The Troop was well represented at the Arrow Park Jamboree. A commemorative badge sewn onto the Troop flag can still be seen today. Bill Rowlands had three Assistants, and one of these, Mr Fred Goodchild, was to play a role in the Group for many years to come. The other two seem to have joined Mr Palmer in obscurity. By this time there were 19 Scouts and 3 Rover Scouts. There was a thriving Cub Pack. Bill Rowlands had become Group Scout Leader, Fred Goodchild was Scoutmaster and his daughter Flossie was running the Pack. Around this time a Group Band was formed and remained for many years eventually becoming a casualty of World War 2. According to the registration certificates the Group did not actually close down during the War. In 1947 it hit the world headlines when one of its members, Rover Scout Bernard Town, became one of the heroes of the floods which swamped Maidenhead that year. Bernard was awarded the Silver Cross for his efforts. Later that year Bernard applied for a Warrant and became an Assistant Scoutmaster. During the early 50’s Fred Goodchild became ill and his failing health appears to have robbed the Group of its driving force. It began to run down. The registration was cancelled and Furze Platt was without Scouts. Bill Gregory came on to the scene. He restarted the Group with Derek Millard as Scoutmaster, two Assistant Scoutmasters, a Cubmaster and twenty Scouts. The Cubs came soon after and from this point forward the Group has enjoyed steady growth. It was a severe blow when the Council put a compulsory purchase order on the Waldren Hall. An enthusiastic Committee was formed which was determined to find the Group another home. After several years and many abortive attempts their efforts were finally rewarded. 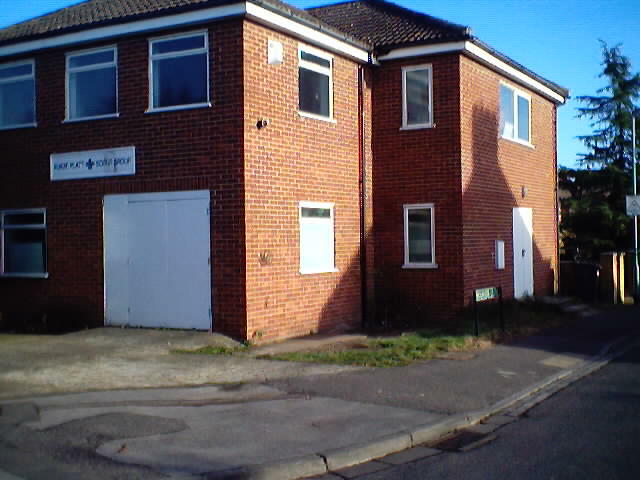 The Furze Platt Scout Group acquired the former North Town Football Club HQ in 1964. Arrangements were made to purchase what was then the North Town Football Club HQ. This stood on land previously given by Lady Gardner for use of the youth of Furze Platt, so the Group was back with one of its original benefactors! The building was of corrugated iron and dated from 1915, but with the freehold in its possession the world belonged to this Scout Group! At this time Marion Edkins joined the Group as a helper. She soon became Leader of the Stuart Woods Cub pack, and took the Cubs on their first camp in May 1967. Marion became very involved in the Group and was to become a driving force in raising funds for the new Headquarters. A second Cub Pack was formed and named after Lady Gardner. Derek Allen and family moved away from the area leaving the Leader Team sadly depleted. Marion Edkins and two young Assistant Scout Leaders helped by members of the 5th Maidenhead Venture Scout Unit kept the two Cub Packs and Scout Troop running. Alan F Hall joined the Group as Scout Leader, at that time the Troop had dwindled down to 8 boys. By 1974 there were over 40 Scouts and Furze Platt was again thriving. The Troop was taken over by the two Assistant Scout Leaders – Dave Chesterman and Bob Parker. Alan Hall opened the Merlin Venture Unit as an “Air Unit”. Alan Hall and subsequently Norman Hall (Venture Scout Leaders) were both Air minded. Air activities featured largely in the programme for many years. Merlin Patrol and the Aircraft engine the Merlin combined to give the Unit its name. The Venture Unit became a joint Ranger Guide and Venture Scout Unit with Marion Edkins as Ranger Guide Leader and Alan Hall as the venture Scout Leader. The current FPSG headquarters opened in September 1977. For many years the Group had fought a running battle with the leaks in the roof and draughts through the walls. Finally, the lengthy problem of raising money and getting planning permission to rebuild the old Headquarters had been resolved. It had taken years longer than expected, as the Council Planners seemed singularly unsympathetic, but finally a purpose-built HQ was opened in September 1977. Marion Edkins became Group Scout Leader whilst continuing to work with the Ventures. Ian Hall attended the World Jamboree in the USA. This should have been to Iran but was relocated due to the political situation at the time. Alan Hall became Assistant District Commissioner for the Fellowship and Marion Edkins resumed her role as Group Scout Leader. Alan Hall had played a prominent part in the Group for over 10 years and was sadly missed. Philip Blomberg attended the World Jamboree in Canada. A Beaver Colony was formed enabling the Group to provide Scouting for young people from 6 to 21 years of age. Helen Tyrwhitt-Drake attended the World Jamboree in Australia. The former gateway to the Furze Platt Scout Group campsite, in Cookham. When it was purchased in 1989, it was known as ‘Mowers Meadow’, but has since been renamed ‘Marion’s Meadow’. For several years the Group, led by Marion Edkins, had searched for land suitable to use for a campsite for the Group. After several abortive attempts the Group managed to complete the purchase of “Mowers Meadow” in Strande Lane. Marion Edkins retired as Group Scout Leader. Today she remains a major player with the Group. She is Campsite Warden, Group Quartermaster and an instructor with the Scout section. She is also President of Maidenhead District Scout Council. Bob Parker retired as Group Chairman. Bob initially joined the Group in 1975 as an Assistant Scout leader leaving in 1977. He returned in 1981 as Chairman. Edward Prescott and Robert Hudson attend the World Jamboree in Chile. The highlight of the year was the Troop summer camp to Austria. The Troop raised over £10,000 to supplement the cost. This resulted in the parents having to pay a similar amount to a usual summer camp. 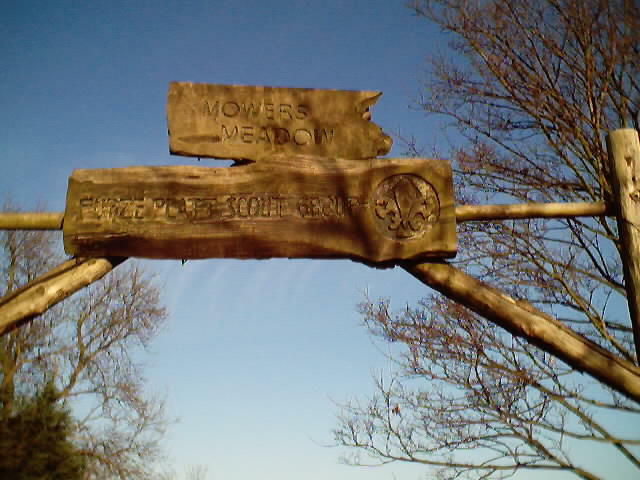 The Group’s Millennium Project was to create a quiet area at Mowers Meadow. The rustic fencing with plants growing amongst the timbers along with a waterfall and small pond provide an area for quiet activity and thought. Barney Barns retired as Group President. Bob Parker becomes President for a two year period. Three Scouts, Seth Munn, Stuart Macleod and Robert Picket are selected to join in the Jamboree in Thailand in 2002/2003. Marion Edkins becomes Group President. Ray Tucker, Assistant Scout Leader and subsequently Scout Leader becomes Maidenhead District Commissioner. Ray will be sadly missed by the Group for all his hard work over years. This year also sees the introduction of Explorer Scouts. Older Scouts from Furze Platt and our Venture Unit join the 19th, 9th, PG and Bray and Holyport to form The East Maidenhead Explorer Unit. Subsequently the Explorer Scouts from Maidenhead East and West have been amalgamated as The Dragons Explorer Unit. The Group introduce the role of Vice President to honour those who have given great support to the Group over a number of years whether in of out of uniform. The first Vice Presidents of Furze Platt are: Alan F Hall, Angela Fecher, Bob Parker and the Vicar of St Peter’s, (Lee Rayfield). Marion Edkins, Group President, Honorary Scouter, Instructor, Group Quartermaster and Campsite Warden awarded the Silver Wolf “in recognition of services to Scouting of the most exceptional nature”. 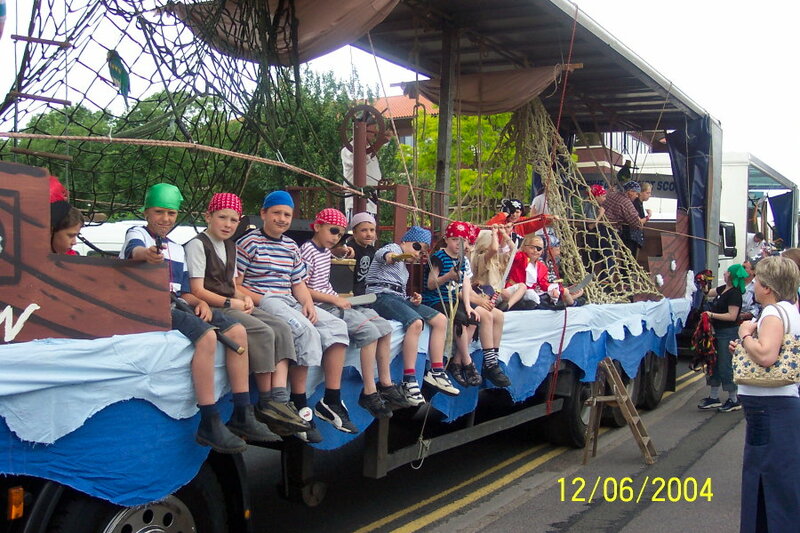 Scouts on the winning float at the 2004 Maidenhead Carnival. The design took on a swashbuckling pirate theme. For the second year running the Group won the Cy Thomas Cup for being the best overall float in the Carnival procession. The Theme this year was Circus. September saw the 21st Birthday of the Furze Platt Beaver Colony. The Colony held a party and invited all past members for the evening. Kylie Brown was presented with the Queen Scout award. The highest Scout award. 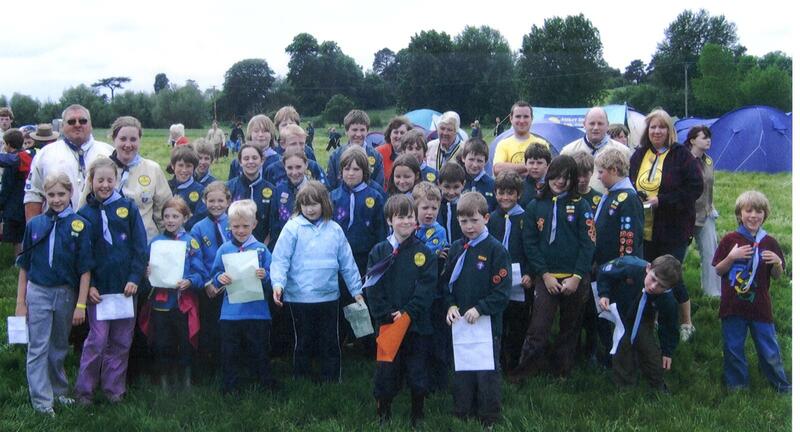 Furze Platt’s contingent at the 2007 Maidenhead & District centenary camp, held in Cookham to mark the hundredth anniversary of the birth of Scouting. Scouts putting on a brave face despite poor weather at the 2007 Maidenhead & District centenary camp. Furze Platt Group joined in the Maidenhead 2007 camp to commemorate 100 years of Scouting. The weather was not kind, but, a good time was had by all. 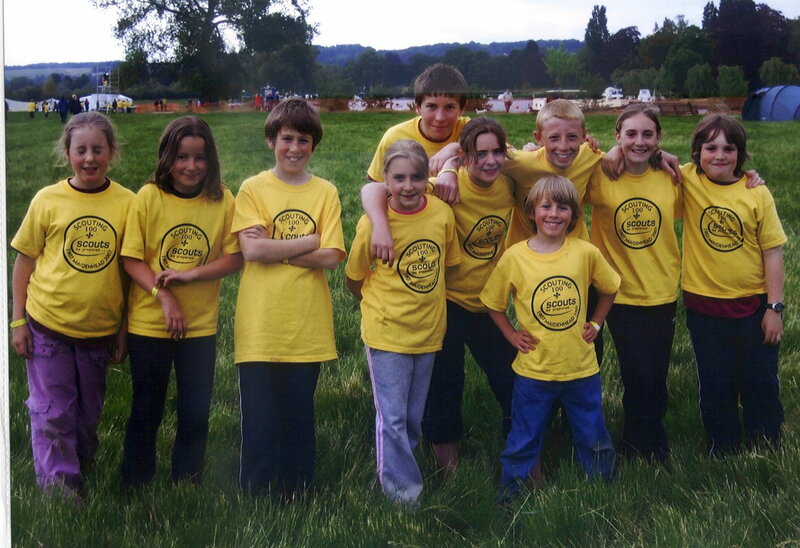 Nat Pickett represented the Group at the Centenary Jamboree in Essex, England. On 30th October we celebrated the 30th anniversary of our HQ. 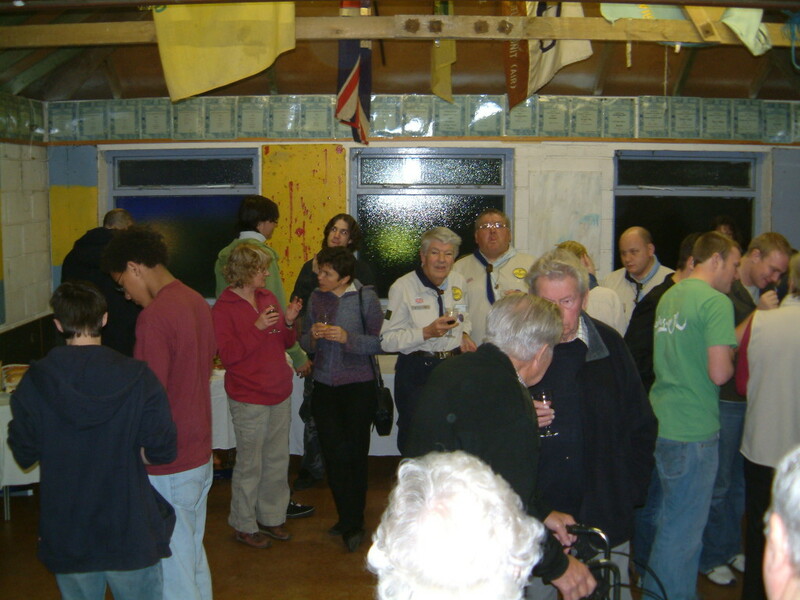 Gathered at the Scout Group’s headquarters, members past and present celebrated the thirtieth anniversary of the opening of the building. 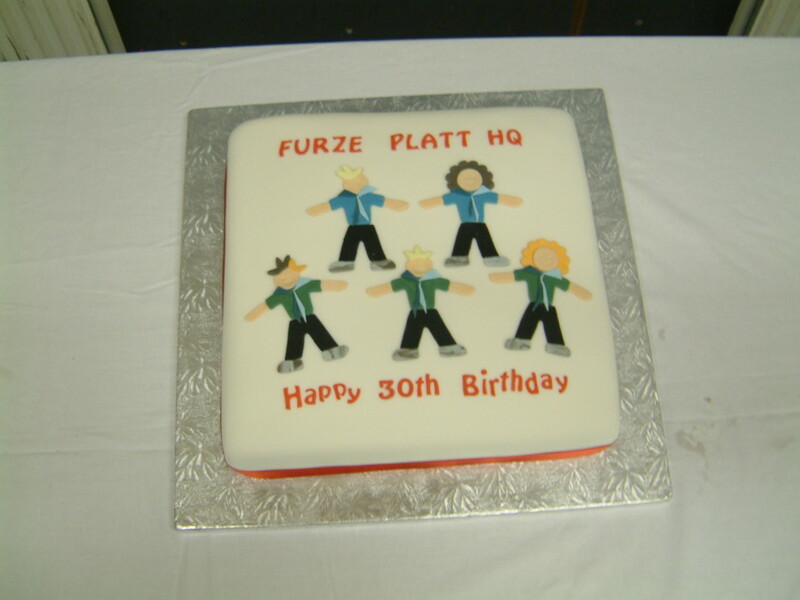 A cake made to mark the thirtieth birthday of the Furze Platt Scout Group headquarters, celebrated in September 2007.